It wasn’t too long ago that word got out that the bestselling author of To Kill a Mockingbird, Harper Lee, would be releasing a “new” book. “New” is relative as Harper Lee actually wrote Go Set a Watchman years ago. But with its expected arrival on July 14th, HarperCollins has now released the book jacket for the novel, printed exclusively by People. The cover is rather similar to the cover of To Kill a Mockingbird, which is a prequel to Lee’s latest venture. 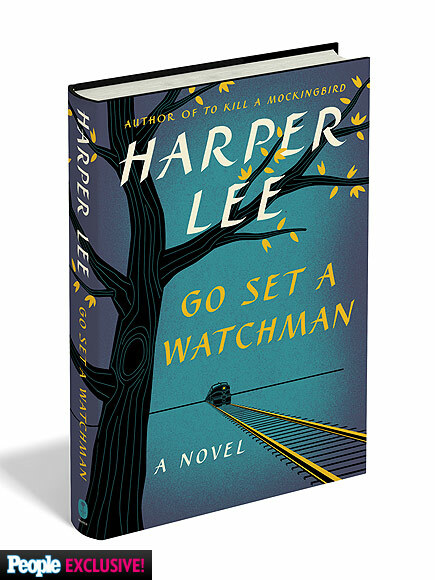 With HarperCollins already planning to print 2 million copies of Harper Lee’s latest novel, the publishing company is expecting Go Set a Watchman to be a huge hit. Can’t wait to read this, Izzy! Mmm, me too! Can’t wait to see how it affects me, you, and everyone else. Hey, you ^_^ I'm Izzy, a psychology graduate and research assistant who's stumbling forward in life. Through my blog, I want to spark literary and personal growth with other writers, avid readers, and anyone who doesn't fit into those categories. So come look around. Grab a cookie brownie while you're . . . oh, wait, I accidentally ate them all on purpose.